Chinese Spring Festival, also called Lunar New Year, has more than 4,000 years of history. Being one of the traditional Chinese festivals, it is the grandest and the most important festival for Chinese people. It is also the time for the whole families to get together, which is similar with Christmas Day to the westerners. Originating during the Shang Dynasty (about 17th - 11th century BC), Spring Festival, which celebrates family reunion, is full of rich and colorful activities, and hopes with the advent of spring and flowers blossoming. People from different regions and different ethnic groups celebrate it in their unique ways. It comes on the first day of Chinese lunar calendar and lasts for almost half of a month. 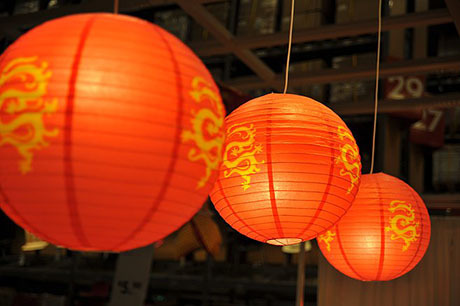 But in folk custom, this traditional holiday lasts from the 23rd day of the twelfth month to the 15th day of the first month (Lantern Festival) in the lunar calendar. Among these days, the New Year’s Eve and the first day of the New Year is the peak time. The exact days are different in every year according to the lunar calendar. It is said that the custom of Spring Festival started in when people offered sacrifice to ancestors in the last month of Chinese lunar calendar. At that time, people prepared the sacrifice by doing thorough cleaning, having bathes and so on. Later, people began to worship different deities as well on that day. It is the time that almost all the farm works were done and people have free time. The sacrificing time changed according to the farming schedule and was not fixed until the Han Dynasty (202BC-220AD). The customs of worshipping deities and ancestors remains even though the ceremonies are not as grand as before. It is also the time that spring is coming, so people held all kinds of ceremonies to welcome it. There are many legends about Spring Festival in Chinese culture. In folk culture, it is also called “guonian” (meaning “passing a year”). It is said that the “nian” (year) was a strong monster which was fierce and cruel and ate one kind of animal including human being a day. Human beings were scared about it and had to hide on the evening when the “nian” came out. Later, people found that “nian” was very scared about the red color and fireworks. So after that, people use red color and fireworks or firecrackers to drive away “nian”. As a result, the custom of using red color and setting off fireworks remains. Preparing the New Year starts 7 days before the New Year’s Eve. According to Chinese lunar calendar, people start to clean the house on Dec. 24, butcher on Dec. 26th and so on. People have certain things to do on each day. These activities will end Jan. 15th of the lunar calendar. Every family does a thorough house cleaning and purchases enough food, including fish, meat, roasted nuts and seeds, all kinds of candies and fruits, etc, for the festival period. Also, new clothes must be bought, especially for children. Red scrolls with complementary poetic couplets, one line on each side of the gate, are pasted at every gate. The Chinese character (i)Fu(i) is pasted on the center of the door and paper-cut pictures adorn windows. The Spring Festival is a start for a new year, so it is regarded as the omen of a year. People have many taboos during this period. Many bad words related to “death”, “broken”, “killing”, “ghost” and “illness” or “sickness” are forbidden during conversations. In some places, there are more specific details. They consider it unlucky if the barrel of rice is empty, because they think they will have nothing to eat in the next year. Taking medicine is forbidden on this day, otherwise, people will have sick for the whole year and take medicine constantly. In China, different places have their own traditions and activities to celebrate the Spring Festival. Beijing, Guangzhou, Xian and Pingyao are some good places to go if one intends to come during the time period. If one does not want to travel so long, but still want to enjoy the atmosphere of Chinese New Year, the local Chinatown is the best place.